I’m a fan of MailChimp, after working with different email systems, for various clients I tend to gravitate my clients towards MailChimp. You can do so many things with MailChimp and with so much ease. Also, support and help are excellent. Most email marketing systems have almost the same features; the difference is in the details. Email marketing is the most effective form of online marketing, and for the most part, any email marketing system will accomplish the essential tasks: Email lists, sign up forms and reporting. When trying more complicated things with your email lists, I recommend MailChimp, for example, MailChimp features triggers, with these triggers you can send targeted emails depending on your website activity by your visitors. Or move a person’s email address from one list to another after they complete a determined task. See the potential of this feature? You can move your subscribers along and use the right email message for each stage of your lead generation funnel. As I mentioned above MailChimp is not alone on the email marketing industry, there are many options most well known are Constant Contact (www.constantcontact.com), iContact (www.icontact.com) and VerticalResponse (www.verticalresponse.com) just very a few of a very long list. The interface is modern looking, navigating is easy and intuitive. They have many preset email templates, and if you want something more unique, there are many layouts to choose from to get you started, and they are all mobile compatible (even the ones you make,) a feature that is crucial nowadays. People like to read emails on their phones, so MailChimp provides a view phone preview. With this API, your team of programmers can integrate signup forms with your MailChimp account. Therefore, your visitor could fill in the form (on your website) submit it and add themselves to the email list without leaving your site. Registering for your newsletter on your website is one of the many things you can integrate with MailChimp. Believe they have the best pricing model for them all. Free fully functional accounts for up to 2000 email addresses (all emails from all lists) and up to 12,000 emails sent per month. They do have paid version as well, monthly payments that the price depends on the number of subscribers or set fees per number of emails sent (See full pricing: mailchimp.com/pricing). The thing is that with the free version it gives you time to build your list and check what works best for the audience you are trying to reach. The goal is to grow your email list with more than 2000 recipients and with people that want to open and read your emails. If your marketing strategy does not include periodic emails (newsletters), it should, without email marketing, you are missing out in creating or converting new leads. If you don't already have an email provider like MailChimp, you can create an account here (login.mailchimp.com/signup), and it is free. 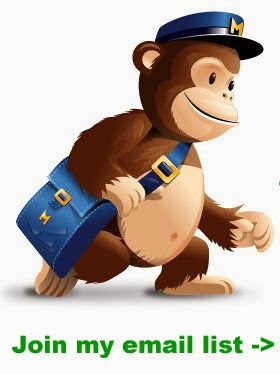 If you are currently using a system other than MailChimp whether it is working for you or not, it is worth checking out MailChimp. Don't forget to join my email list using the form on the right.